Offer as a tasty, healthy chewing challenge to help grind down those constantly growing teeth. Rabbits and guinea pigs need to chew to keep those teeth ground down and to keep mentally stimulated. Dental issues are one of the most common reasons for a visit to the vet. So chewing a lot and often is ideal but finding healthy, non-destructive ways to encourage chewing can be tricky. Yes, high quality grass hay is always good and should be available constantly. But wouldn't it be nice to offer something else that doesn't involve the furniture, the plastic coating on their enclosure, or the carpet? Our chews are sourced from select family farms, including our own. Apple Trees are pruned in winter when the trees are dormant, so they are softer and have more internal moisture through spring. (For our guinea pigs, this is definitely the most popular stage.) As we move farther through the year, the Apple Tree Chews firm up and offer a bigger chewing challenge. Remember your pet may have a time of year or flavour preference. Our massive, Mulberry tree is trimmed gradually year round. Click here to purchase now from our EBAY store. 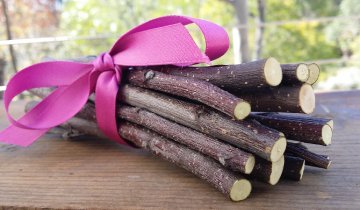 Offer a few pieces of our fabulous dried Herb Blends as a treat each day to add leafy, green variety to your little creature's diet and to make them love you even more! Our Herb Blends were inspired by a trip to the Austrian Alps at Spring harvest time. We were in awe of the small family farms in deep, breathtaking valleys. Farmers cutting and drying their products from incredibly lush fields that are legally protected from development due to their plant diversity. We came home determined to recreate that diversity and vitality here. 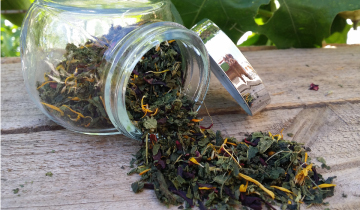 Our Blends will change as the seasons change and as we experiment with new wonderful greens and flowers. They are a combination of what we grow organically here at home (we are not certified) and what we get from our select Certified Organic Australian producers. 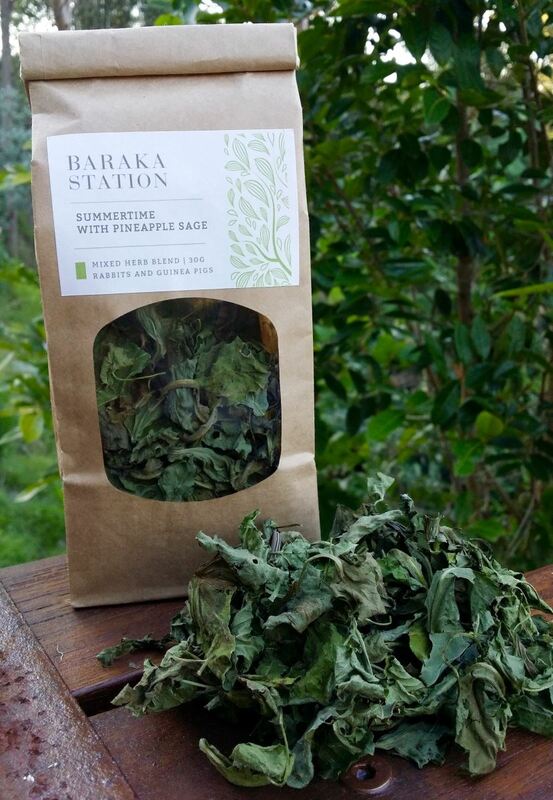 Summertime with Pineapple Sage - Crunchy, Fresh and Fragrant! Gently dried, organically grown Dandelion, Plantain, Gota Kola, Herb Robert and Sweet Potato Leaves with a splash of Pineapple Sage. Summertime with Liquorice Basil - Crunchy, Fresh and Fragrant! Gently dried, organically grown Dandelion, Plantain, Gota Kola, Herb Robert and Sweet Potato Leaves with Liquorice Basil. Click here now to purchase from our EBAY store. Sprinkle a couple pinches of our fragrant blends across a pile of nice hay (our guinea pigs are Oxbow hay fans) and watch the noses start to twitch and the foraging begin. Our Hay Sprinkles are designed so a small amount of product produces an extended hunting adventure - this adds enrichment to a contained creature's day and gets them actively into that pile of hay, hopefully increasing hay consumption which is the biggest contributor to their long-term health.